BASKETBALL: NBA disciplinary officials slapped Los Angeles Lakers forward Metta World Peace with a seven-game suspension Tuesday for a vicious elbow to the head of Oklahoma City guard James Harden. The ban came two days after World Peace, formerly known as Ron Artest, drove his left elbow into the side of Harden’s head during a game at Staples Center arena. 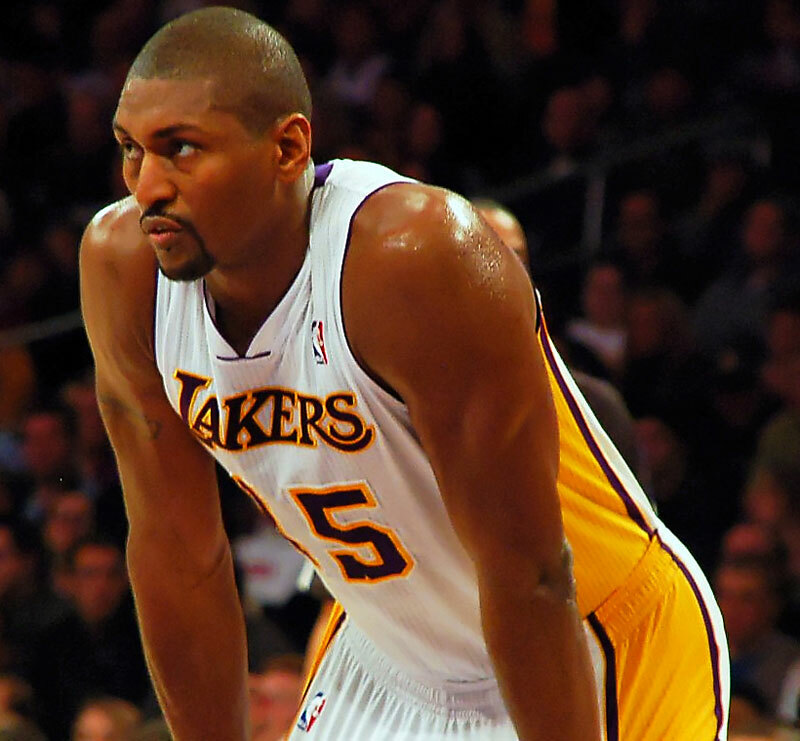 World Peace once served one of the longest suspensions in league history – a 86-game ban for his role in a fight between Indiana players and Detroit Piston fans in November 2004. The then Pacers player charged into the stands to attack a fan after someone threw an object at him, while other Pacer players brawled with Piston fans on the court. Harden suffered a concussion in Sunday’s incident and has yet to be cleared to play.